December 20, 2010 December 19, 2010 Posted in food glorious food! Grocery shopping with Jay is always full of fun. To persuade him to come with me, I have to entice him with promises of food, coffee or some other incentive! Yesterday it was lunch at sushi train followed by a coffee for the trip around Coles. On our way to do the groceries, coffee in hand, we passed one of those little kitchen stalls and I detoured to find some small item that I only just realised I couldn’t live without. 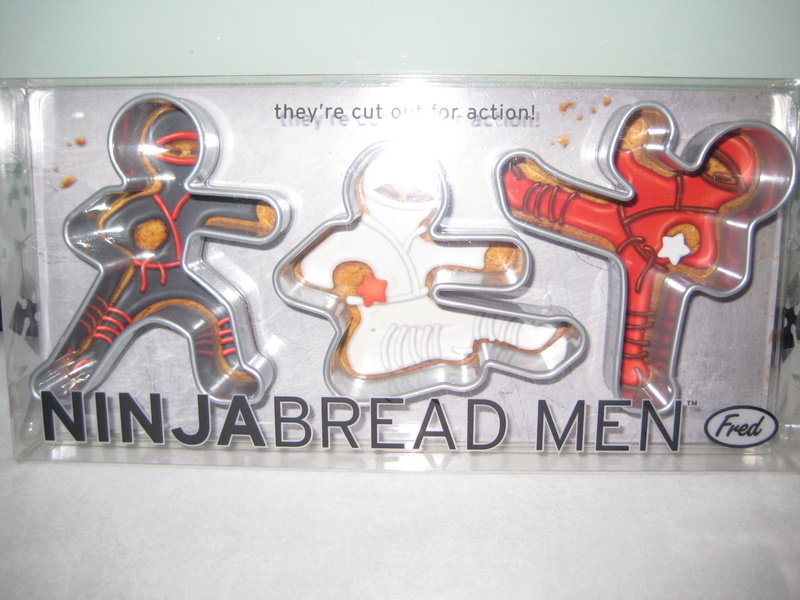 Jay pointed out these cookie cutters shaped as Ninjas and asked me to make him Ninjabread men to take to work! We purchased the cookie cutters and proceeded to Coles, where I found a gingerbread recipe in one of the books in store. 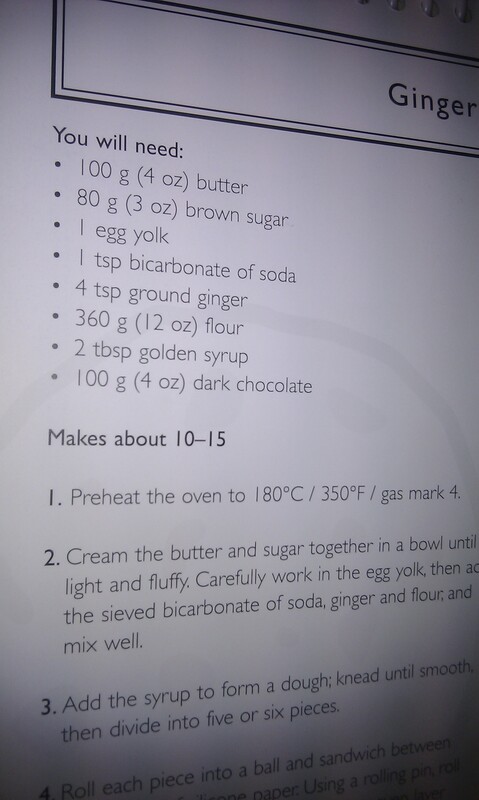 We took a photo of the receipe (ingenious thinking! ), got the ingredients plus our groceries and proceeded to head home. 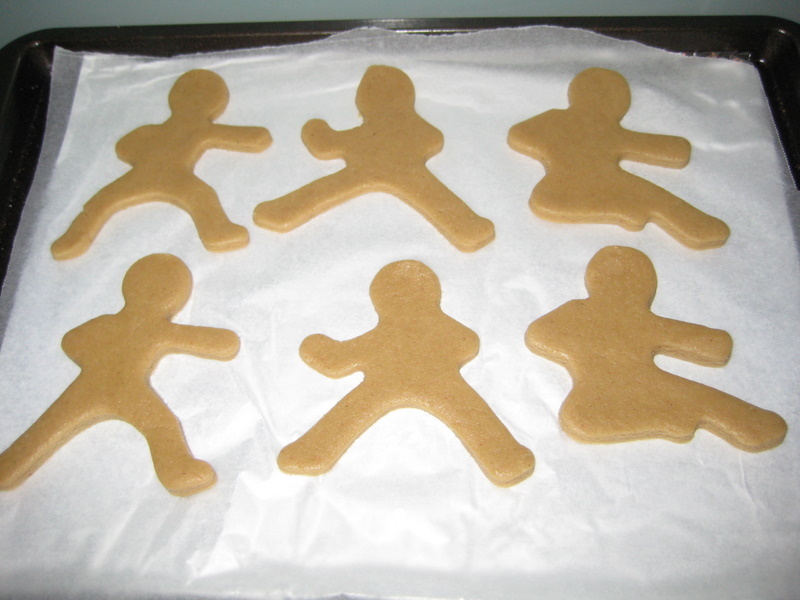 We are now the proud caretakers of a shadow of yummy Ninjas! preheat oven to 180-degrees (fan forced). stir in egg yolk. sift in dry ingredients and combine. 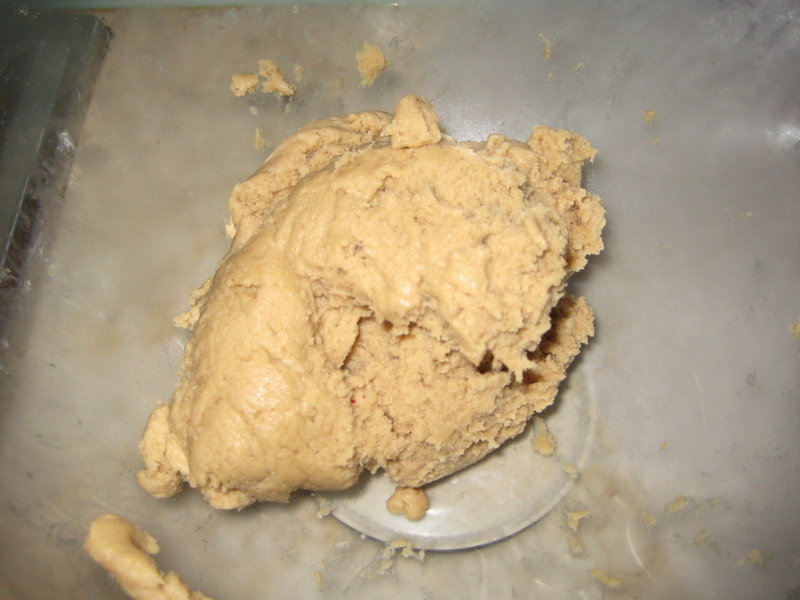 add maple syrup and stir to form a dough (this is where it wasnt working out for me, so I added a 1/4 cup ice cold water. 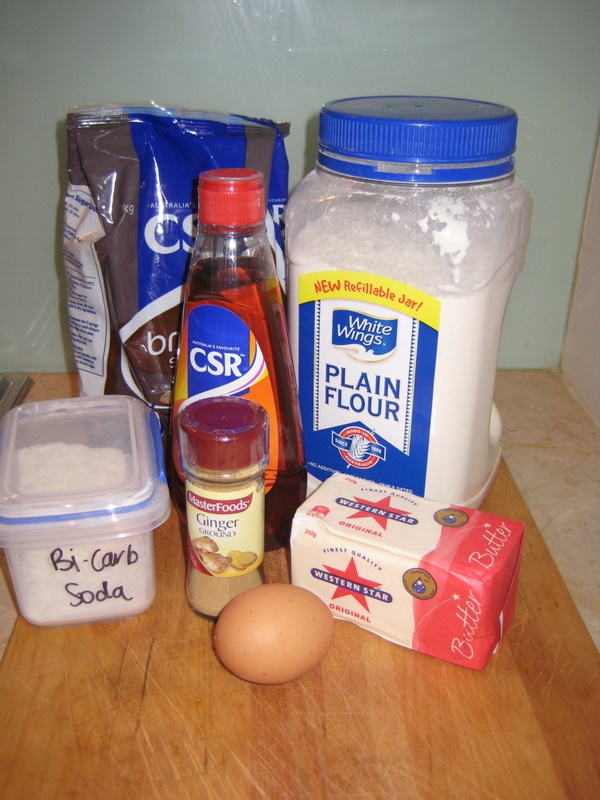 divide dough into three. roll out 1cm thickness between two sheets of baking paper (while keeping the other 2/3 of the dough in the fridge). 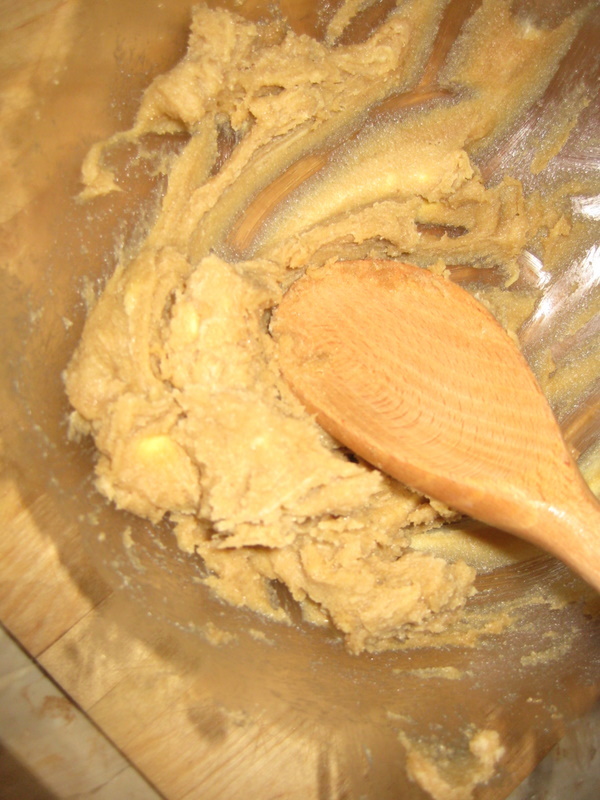 continue this step until all the dough is used up. bake in oven for 8-10 mins til golden. allow to cool on racks before icing. then get creative! 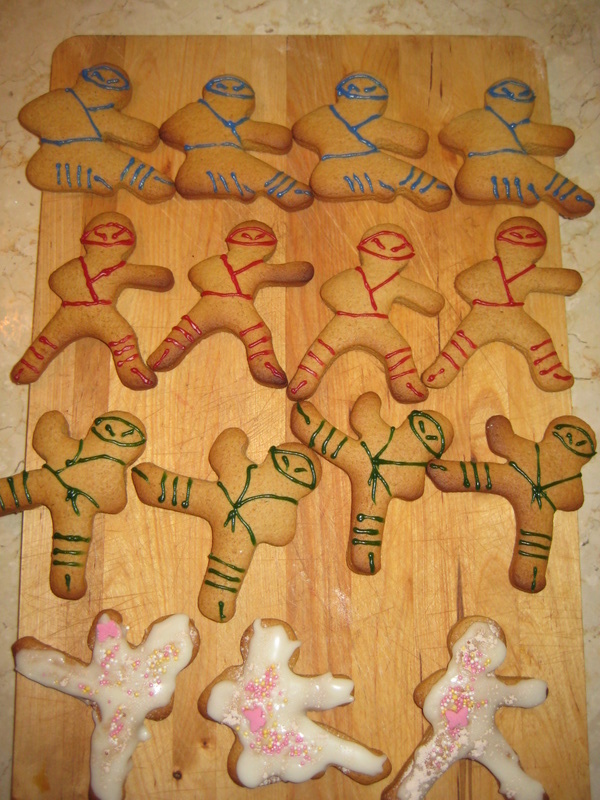 I went for blue, red & green belted ninjas! plus a few white ones for luck! 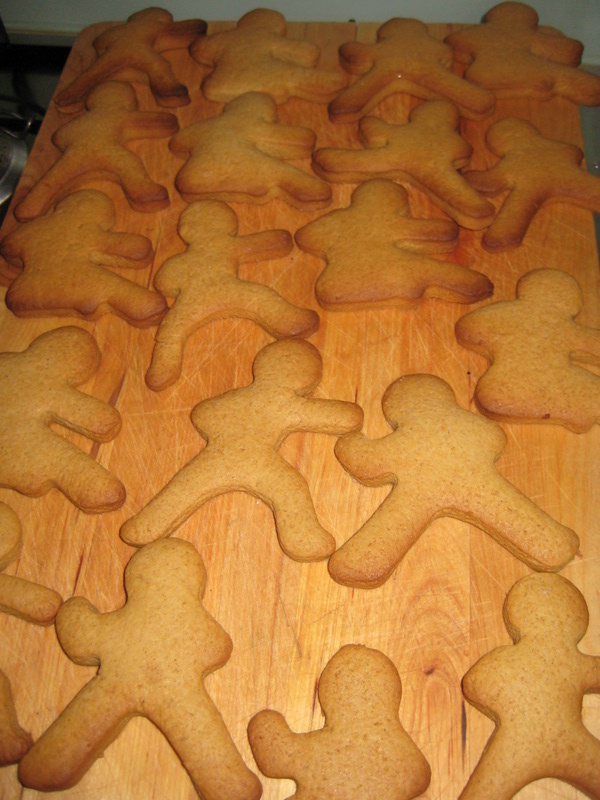 recipe makes 22 delicious little ninjas.